Black Panther (2018) is the first stand-alone movie about T'Challa (Chadwick Boseman) who's about to be crowned King of Wakanda after the events of Captain America: Civil War ((2016) when these challenges occurred. He has to face his own country and this villain called Killmonger (Michael B. Jordan). The first time I saw Black Panther in CACW, I knew the stand-alone movie would be something great. I mean, his suit made from the strongest metal on earth, T'Challa himself is someone who's very intelligent and kind. I was very excited about this movie for some reasons. First, the director, Ryan Coogler is young! It's amazing to see younger filmmaker to join the MCU, add some fresh, youthful idea but still stick to the sort of the main idea of the universe. Second, Black Panther is one of the new characters to the MCU and we really need to know about the Prince of Wakanda. Third, it is always exciting to learn more about one character deeply. I love this movie. Black Panther is a very futuristic film. The technology in this movie is like no other. We've seen some advanced tech in Iron Man trilogy because it is about Tony Stark but let's doubled the advancement, no tripled! That's what you got on Black Panther's tech. However, I don't think Black Panther is a flawless movie. It has some issues to me, we're gonna talk about this later. Black Panther is not another superhero movie. It's not an origin story, it's about a heroic side of someone who's been praised as a hero for his country. From my perspective, Marvel never created a story about a superhero. They always make a movie about someone with humanity and how to bring out someone's heroic side. There's always at least one message behind the story. The reason why I love this movie mainly because it's not about people fighting or showing off their abilities but it wants to show us different perspectives in society. Even Killmonger has humanity reason behind why he's good at being bad. By the end of the movie, I kinda pulled the strings and put them together and was blown away by how amazing this movie left me. T'Challa is obviously one of the best characters in the MCU. He's very kind and intelligent, it's almost impossible to create some sort of balance in one person. His character reminds me a lot of Steve Rogers. Another reason this movie instantly became one of my all-time favorites is that the character development of our hero is so visible. It feels like we're growing up with him. Another character that really left something in me is Killmonger. He's undoubtedly one of MCU's best villains. Like I said, he's not just an evil bad but he's really good at being bad and it's different! He uses his intelligence as power and his physical ability as a shield. So he's not just recklessly step into the perfect nation of Wakanda with its wealth and asked to be rightful heir, but he has his own belief and wants to make difference with this nation that is surprisingly not perfect. The movie production is incredible! The color of this movie is very vibrant. The characters costumes are amazing, so futuristic. Although some of the CGI seems a bit off and the color of certain scenes is too bright. There's also a problem with sound mixing in the middle of movie, I think it's too much with how the scene went and everything mixed together. 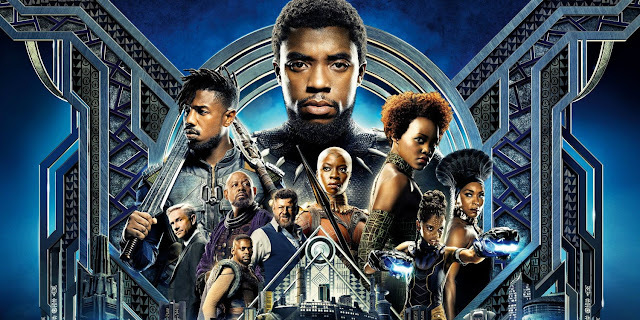 I felt a little disappointed toward the end of the movie, Black Panther's act is less impressive or maybe too conventional. It doesn't last long thou, recovers during the final act with satisfying conclusion. Hint yo Infinity War? I don't see any, or maybe I wasn't paying attention? All I get is, what happens when Thanos comes to earth? to Wakanda?